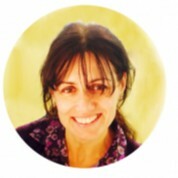 Meritxell Donadeu is a veterinary graduate from the University of Buenos Aires (Argentina) and MSc (Barcelona, Spain). She worked for 14 years in the private sector, as Veterinary Manager for the animal breeding company PIC based in Oxford, UK. In 2009 she joined the not-for-profit organization Global Alliance for Veterinary Medicines (GALVmed) where she became Director of Operations and oversaw the development and deployment of 15 novel animal health technologies for the benefit of poor livestock keepers across several countries in Africa and Asia. Since June 2014 she is a Visiting Research Fellow at the University of Melbourne working mainly on control of Taenia solium and prevention of the zoonotic disease neurocysticercosis. She also works as an International Development Consultant, undertaking assignments over the past 3 years for WHO, PAHO, and IDRC among others.